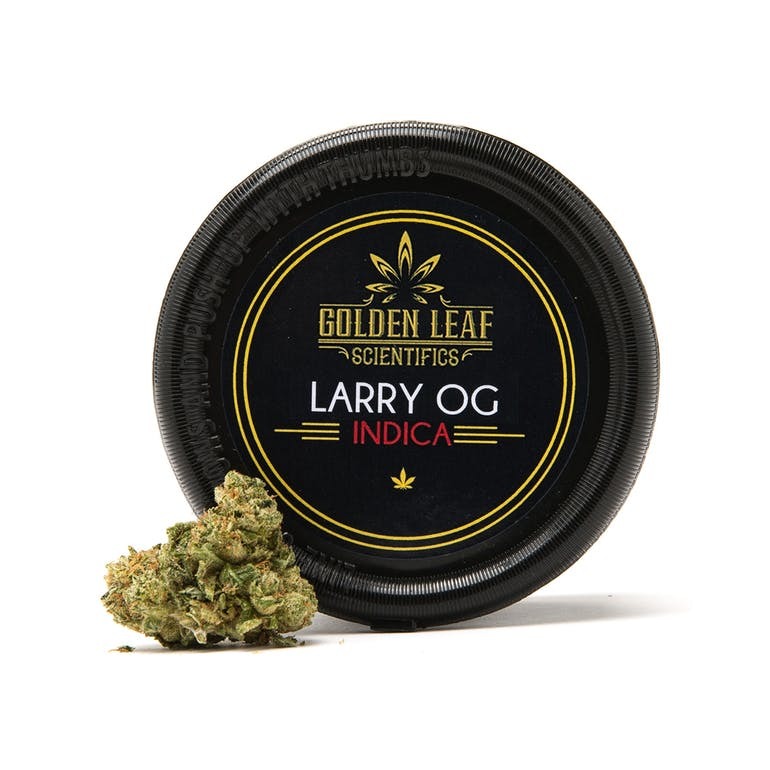 Experience the remedial bliss of Larry OG from Golden Leaf Scientific. This classic cultivar offers a sweet-and-tangy terpene profile that blends gorgeously with its mood-boosting body buzz. Reduce stress, pain, and bad vibes with Golden Leaf Larry OG. The flower I love most, from the company I love most. Goldenleaf scientifics is hands down the best product I’ve had in sometime.from the flavors of hybrids to the most potent indicas...Every strain has its high but for me it’s the Larry OG 👍🏼 Thumbs up to the Golden leaf masterminds behind this. Can’t wait for more surprises to come....will be ordering again soon.